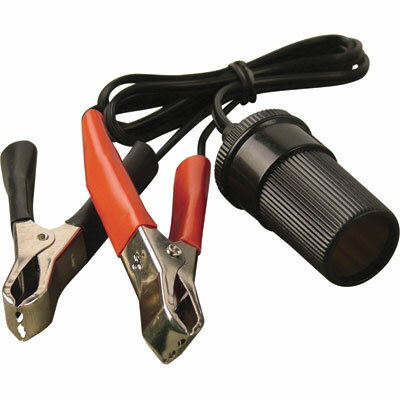 This device will allow you to charge devices in the 15 -24 volt range at around 3 Amps. This is a much more efficient way to convert stored energy in a battery to stored energy in you laptop( or to run another device) rather than through an inverter. When looking for one of these adapters (which there are many designs) look at the adapter tips to make sure they will fit the devices you intend to use it to power. Make sure the voltage is switchable and matches the voltage you need for your devices. Many devices are voltage tolerant to some extent, if need be 1 or 2 extra volts work, if you cannot supply the exact voltage. Make sure the power rating of the adapter is more than the power rating of the the device. Check the polarity of the device and charger, usually the outside shaft of the adapter is negative (-) whereas the tip or inside is positive(+). Some adapters allow polarity changes on the tips. 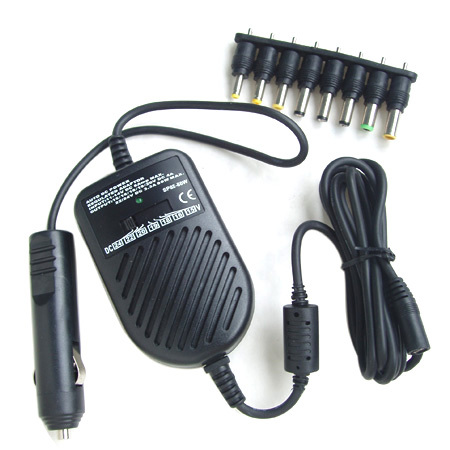 The rating for the adapter can be between 80 and 150 watts. The easy way to determine the power rating is to look at the AC adapter of the device and multiply the DC voltage and current together and that will be the power rating. Cost of an obscure tip $3, time to find one, up to 6 months (be warned). The sensation of success after a long determined hunt, priceless? In the wake of the Japanese tsunami in march 2011 one of the first things people wanted to do after they had reached the safety was to recharge their phones. Imagine being faced with many people all wanting to charge their phones at once. Despite the market dominance a a few mobile phone makers there is still quite an array of charger plug formats. When i first saw this item i could see just how useful it was. I highly recommend it. It’s the most important part of my ‘charge a phone virtually anywhere’ kit. Note while it has the correct connector for the Apple iPhone/iPad it may not work due to Apple’s proprietary hardware restrictions. So you should look back in the box your phone came in, and find that weird cable with USB at one end and your phone connector at the other and keep it handy. Most phones support charge via USB now, and even it you don’t use such a cable to connect to your computer its useful for charging. Fast charging: you may find a 2.1A USB port occasionally and this will allow you phone to charge faster if your phone supports fast charge. For the record USB is normally 5V DC 500mA, the fast charger works by shorting pins 2 and 3 the green and white wires to ‘tell’ the computer to supply more current, 2.1 Amps. 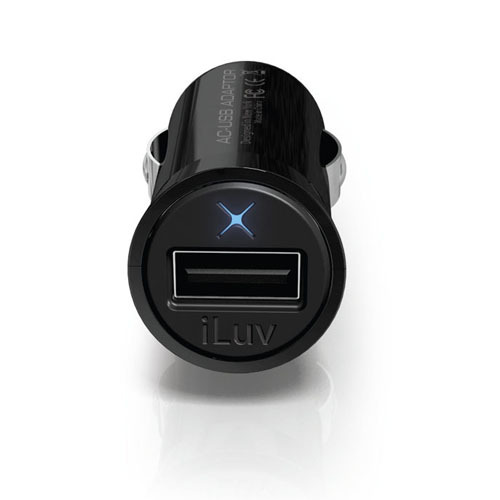 cost about $5-$8 available in some $2 style shops, may come with accessories like car to USB and AC to USB which are both worth paying a few extra dollars for.